When looking at cinema’s influence on games, it would be an understatement to say that John Carpenter’s 1982 flesh puzzle The Thing is the Godfather. From creeping unquiet as a tone to settings that are oppressive even without a monster, horror games love to, and sometimes need to, rip off this film. 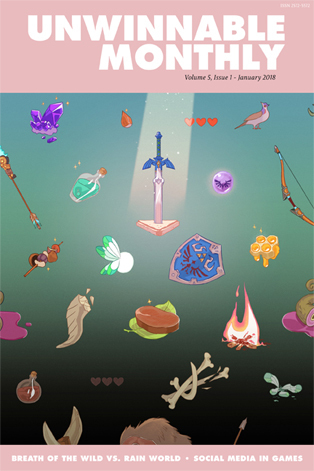 Weirdly, the central mechanic of the film has been a touchstone for many games while often becoming problematic to adapt, especially in a single player setting. That mechanic? Distrust. So what better way to take on a trust-based horror squad game than to use the IP that invented it? 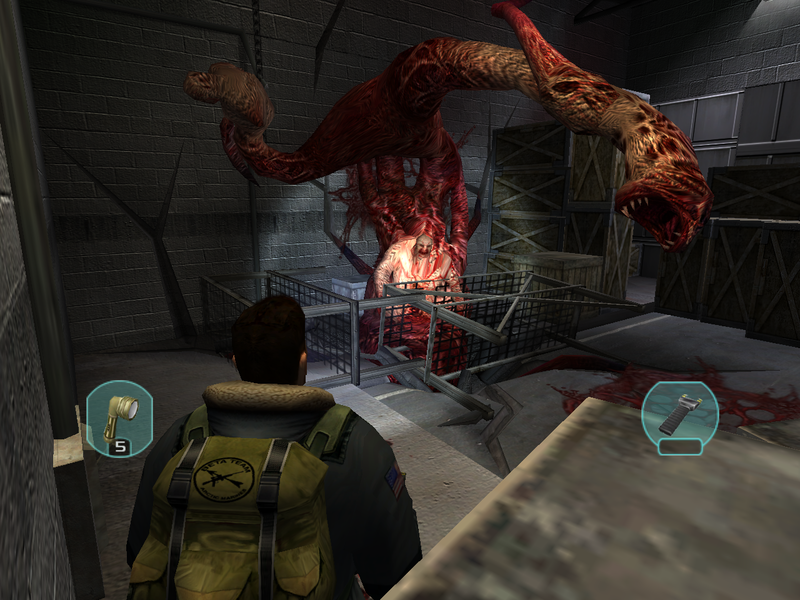 In 2002, Black Label Games took The Thing and pushed out a sequel in game form – which carried a seal of approval from John Carpenter himself. (Carpenter is famously a big games guy who dreams of doing Dead Space as a film some day and just . . . *swoon*) Especially in the early aughts, the idea of licensed sequel work in games – especially for something this cultworthy – should’ve resulted in unstoppable sales. What went wrong? Turns out that on rare occasions, a great small-scale head scratcher of a thriller doesn’t translate into a giant military shoot-em-up. Weird, right? Picking up after the events of the film, a team of military rescue types are dispatched to the Antarctic to recover the survivors of Outpost #31. Captain Blake of US Special Forces leads Beta Team on this mission, while an Alpha Team heads to the Norwegian base where the bio-infection originally took hold. There are plenty of warm bodies to go around and not nearly enough cool heads. You’re dropped off at an outpost where the infection has taken hold. Everyone is gone, there are a lot of missing walls and a general feeling that things are not going great down here in Antarctica. As you navigate the facilities, the sense of immediate danger plagues the player as the aggressively anti-you environment blurs your vision while the cold and snow eat at your health. This is a place where you will die even without the help of alien body-snatchers. The buildings mainly consist of labs, warehouse spaces and communication rooms, with the central premise that they are always without power and you will need to flip a switch in some other room to get things rolling again. The outside is frozen and the inside is always moving/sparking a little too much for comfort. As your activity call attention to yourself, monsters investigate. There are a lot of tiny little scrambly things that look like the film’s head with spider legs. The game immediately starts sending waves your way instead of individual monsters. The bigger baddies take on dog-type forms or are weird pulsating human sized creatures with not enough variety to really sell this as worthy of The Thing name, but I can excuse plenty based on the PlayStation 2-era hardware. Dudes that still look like dudes but with bloody arm stumps running at you in the dark are still plenty scary, there’s just a lot left on the table here. You’ve got limited guns and ammo, but acquiring a flamethrower becomes of immediate importance. 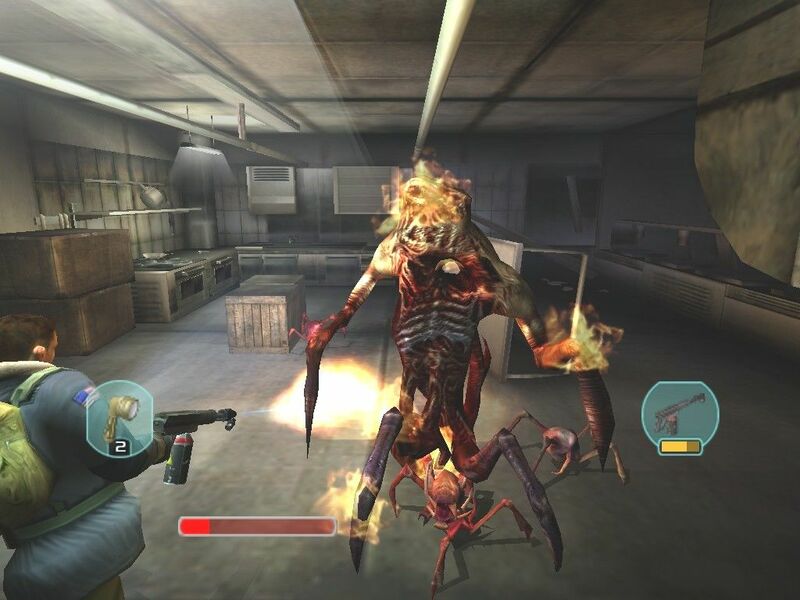 You have to burn the bodies to keep these monsters down and, of course, there’s issues with accidentally lighting the building on fire while trying to take down dozens of teethy-flesh demons. The combat feels clumsy at best and demons are something of a bullet sponge for your limited weapons. Of course, the Things you can see are in no way the most important part of what’s going on here. It’s about hiding within the warmth of humanity. And that’s where the game tries some really interesting things that go really poorly in execution. You go around the (outrageously expensive) military bases and labs strewn about Antarctica and find soldiers and other survivors along the way. The big push of the game is a squad management dynamic that requires you to earn the trust of the men you meet in order to use their skillsets to defeat power routing issues and, of course, the enemy. How do you gain trust from various AI’s? Well, you give them loot. Handing ammunition and weapons to strangers (or health packs or other tools) helps raise a trust meter for you. My first playthrough of the game, back at release, made me love this mechanic. You have to deliberately weaken yourself to engender trust in your men. Flawless survival horror device. And none of this is without consequence, because situations arise where these men can turn out to be The Thing, and tear themselves apart before doing the same to you. Any weapons you gave them are gone forever and your team is weaker for it. Added to this is a fear mechanic that can drive normal humans insane when they spend too much time around bloodshed, dead bodies or unending creature waves. That said, they perform admirably in combat and the guy with the flamethrower always knows when and how to step in to finish the job at hand. Unfortunately, once you start to pick this mechanic apart by not playing directly into it, there’s a lot of flimsy design. For example, I thought I needed everyone to trust me in order for them to fight alongside me. But who isn’t going to save their own life when attacked by space monsters? Right, that. There is also a sense that the game is selling a totally organic (sorry) experience where folks can turn because of exposure or because of your actions. This is just is not the case. Every sudden twist and turn amongst your squadmates is a specifically scripted moment and, again, this is probably a limitation of the time. But good Christ, is it disappointing. The trust is tied to the actions you choose but the actual mechanic of trust is tied to inventory items, whereas fear is tied to the environment and you’re actively battling two different series of systems that have nothing in common. So the systems are nonsensical, but they don’t matter because you’re going to be running between Point A and Point B when Sgt. Wallace just decides to become a monster. There are mechanics in-game for blood-tests and challenges of interpersonal conflict, but none of that matters because maybe in the middle of a boss-fight your entire team turns on you and there is nothing you could’ve done. All of this is the most correctable thing ever: there was a sequel in production with much more varied monsters and actual procedurally generated survivors/monster turns that would have been a welcome addition to the canon. It got cancelled. Making matters worse, the writing in the original is excellent and it is one of the rare games in which the dialogue and lore overcame its technical limitations. So many of my squad members were dudes I became actively invested in keeping alive. The Weyland-Yutani level dedication of the military to capturing and using the Thing wasn’t as bad as you’d think and even the final boss battle with an end of Cabin In The Woods-style gigantic god-Thing was acceptable. On revisiting The Thing, as the kind of player who picks mechanics apart, it feels broken and hollow on a gameplay level but vibrant and clearly a labor of love in every other dimension. It was laying the groundwork that a fantastic second game could have copied and improved upon, but instead it got burned alive in the snow. Maybe a new team will dig it out of the ice in the years to come and unleash its full potential.